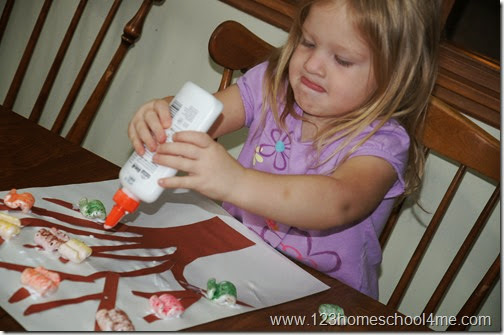 Here is a super cute fall craft for kids using packing peanuts! It produces such beautiful results with a unique look and texture that is fun to play. Great for preschool, kindergarten, 1st grade, and 2nd grade kids. You and your kids will love this super cute, unique fall craft for kids. It is easy to make and produces stunning results. 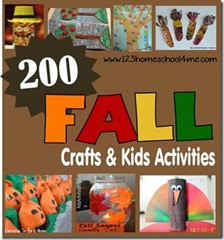 Fun fall crafts for kids in preschool, kindergarten, 1st grade, 2nd grade, 3rd grade, and more. 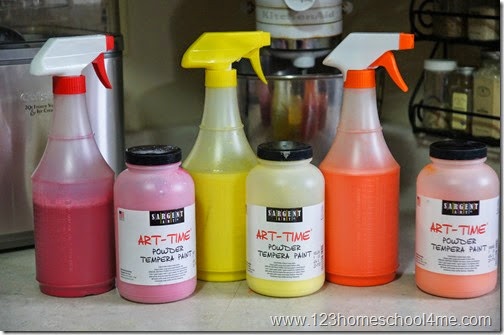 We used our powdered tempera paint and mixed it with water in several spray bottles. Just a couple tablespoons plus a couple cups of water and shake well. Lay out packing peanuts on a covered surface. You may also want to make sure your child’s clothes are protected. 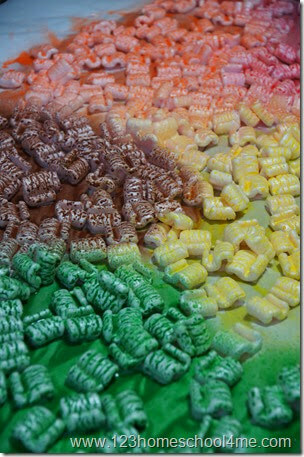 Now spray the peanuts to saturate to get the color intensity you like. Now let packing peanuts dry thoroughly. It will take 3 hours or so. 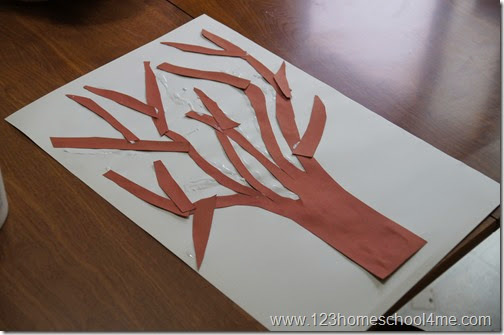 On an oversized piece of paper we glued strips of brown construction paper to make a tree trunk and branches. 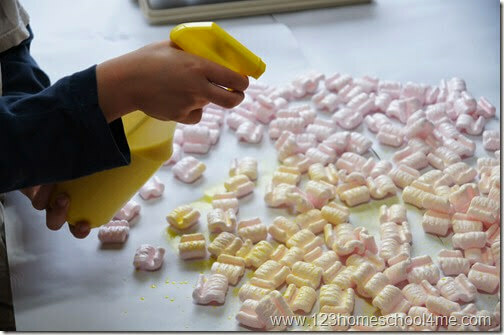 Now let your kiddo squirt liquid glue where they want to stick their Styrofoam peanut leaves. Then just press them in the glue. Allow the glue to dry and harden. 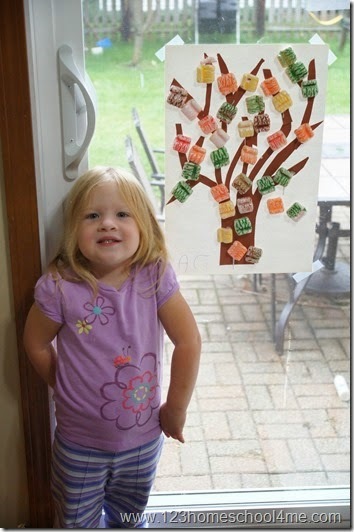 She is so proud of her beautiful fall tree craft she made herself!